This Ezgo 48v 13a Golf Cart Battery Charger RXV Connector OEM Delta Q QE is a re-manufactured unit supplied by an OEM distributor. Comes with 90 day manufacturers warranty. 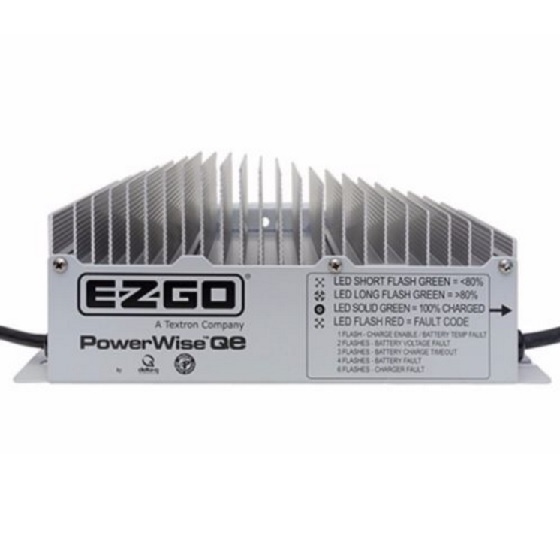 If you are having issues with your OEM Ezgo Golf Cart Battery Charger or if you would like to learn more about this battery chargers LED indicator display follow this thread. Be the first to review “Ezgo 48v Golf Cart Battery Charger RXV Connector OEM Delta Q QE” Click here to cancel reply.